“This moment is full of tension, loaded with possibility and suspended silence”. 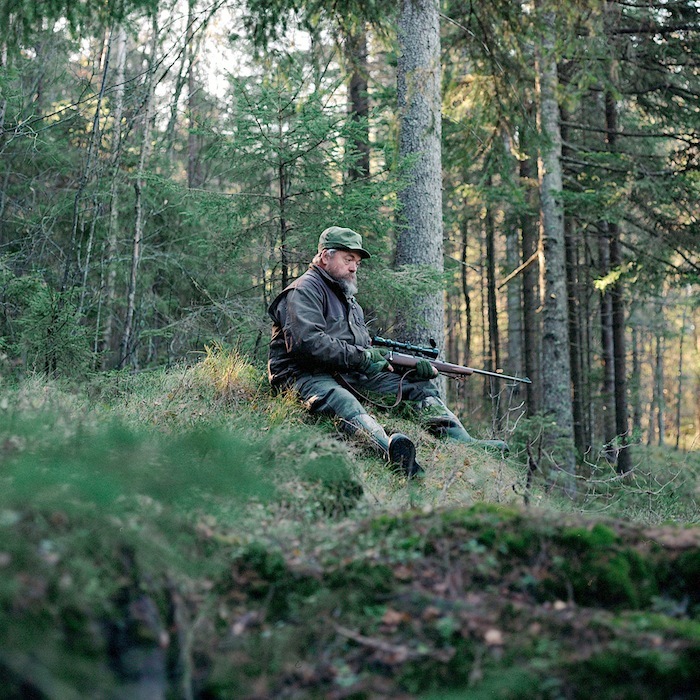 The hunter waits in silence, stilling his movement and reducing his breath to a minimum. Waiting and watching, he attempts to become invisible, to disappear into the natural background. Here, the external and internal noises, the distractions of modernity, are cancelled out in a single moment– a spasm of time that is irreversible. 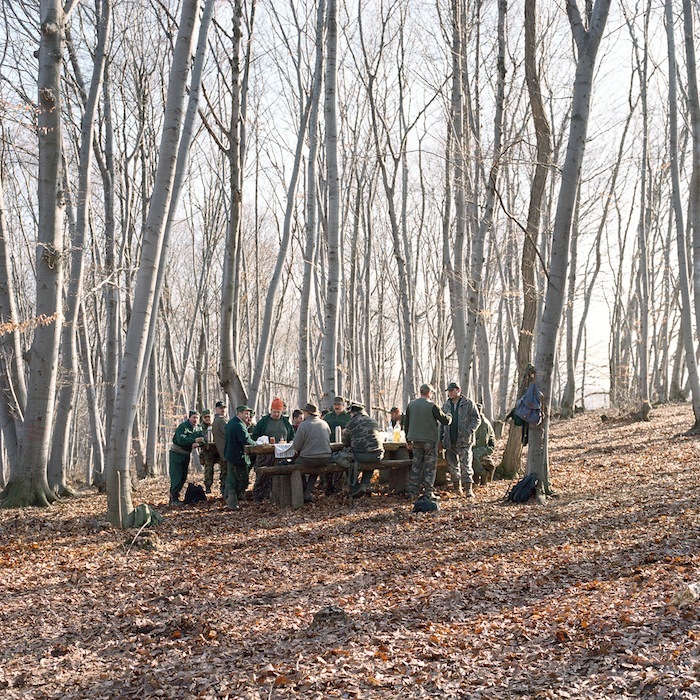 Hidden captures man’s engagement with nature through a close examination of the practice of hunting. Hunting lies at the foundation of human survival. 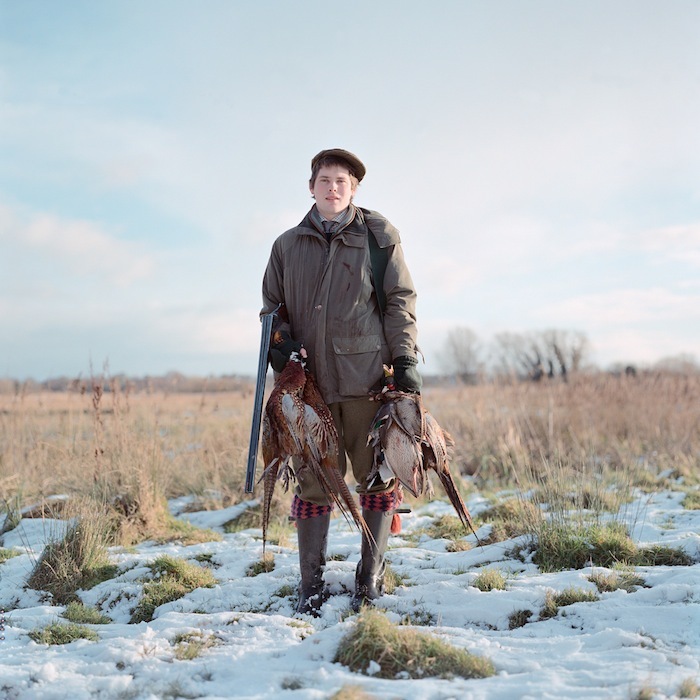 These unflinching photographs capture the human element in the ritualized killing of animals. Their focus is on authentic, observed moments that have been shaped by tradition, and which are still practiced in the modern world. Increasingly, our access to nature is designated as a cultural activity. Nature functions as construct of the imagination, where it is romanticized as pure and harmonious. But nature itself is marked by decay and violence. 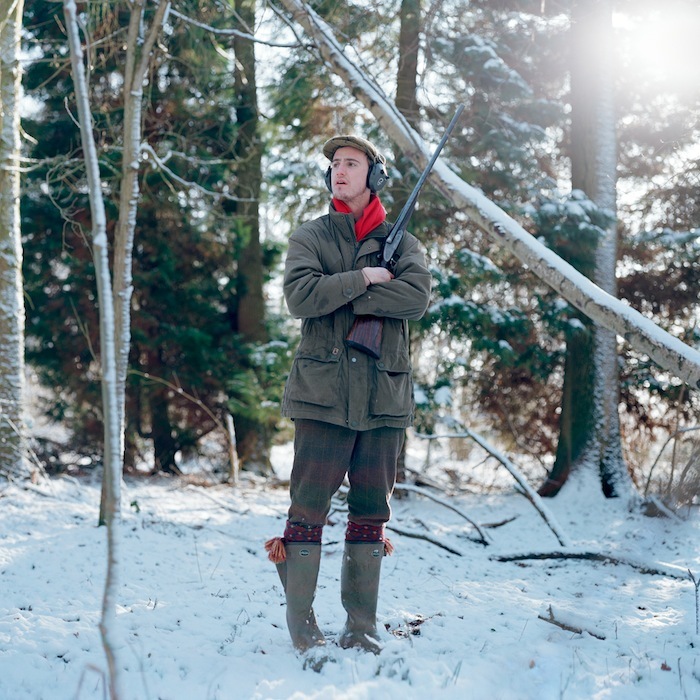 While hunting posits man as an external source of violence, the culling of animals maintains the balance and diversity of the landscape – even as it domesticates the landscape into an elaborate garden. 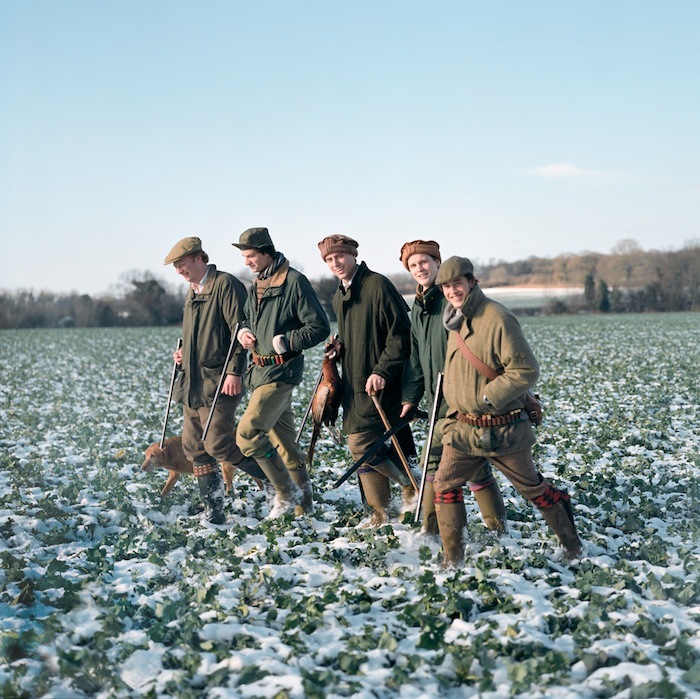 These photographs reference the classic European tradition of paintings depicting the hunt, in addition to 20th century photographic portraiture. The rituals and divisions of class are inherent to the images in Hidden, as are both the modernization and preservation of tradition. Employing 5 x 4 analogue photography, the series uses a detached camera eye to observe the social dynamics of the group, its rituals, and the ways in which they are infused with meaning. Michael Tummings is a Munich, Germany based artist. To view more of Michael's work, please visit his website.